The Lady Okie: Win the Cutest Bag Everrrrr. So, how cute is this bag? 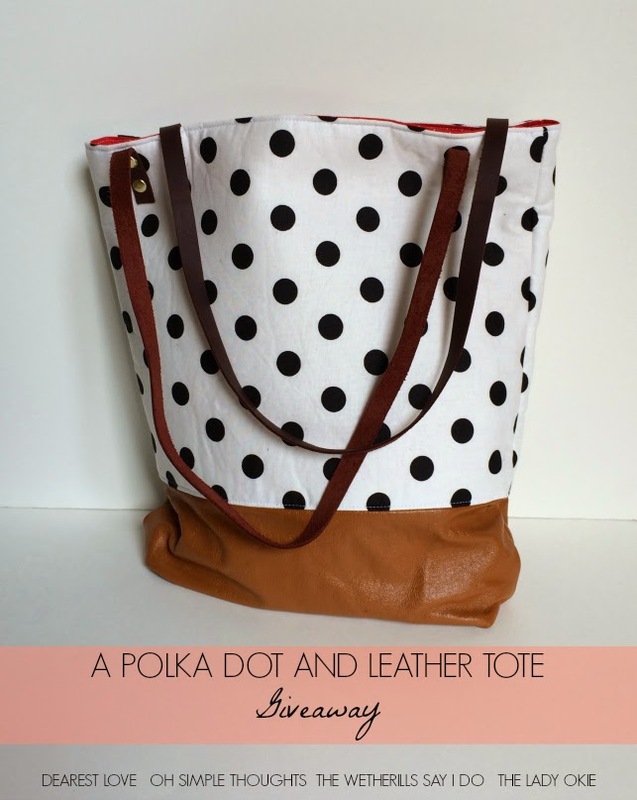 Lucky for you, I'm partnering with 3 other lovely ladies to give this adorable Rouge and Whimsy polka dot and leather tote to one of you! There's a $75 price tag on this baby. To be honest, I kind of wish I was just keeping it for myself. Love me some polka dots! Enter using the giveaway tool below. All entries will be verified, so play by the rules! Aka don't be lame. The winner must claim their prize within 48 hours of being emailed or a new winner will be chosen. This is only available for US residents. Sorry to my international peeps! But you live in an exciting foreign country, okay? So I don't want to hear about it. Polka dots inside AND out?!??! Yes, please! Coffee. Coffee is making me happy today. And yes, the bag is so cute. Adorable! I am carb loading this week, so that is making me extremely happy. Bring on the bread! Love a giveaway that involves a new bag! Oh my goodness, happiness in a tote - so cute! Coffee!!! Coffee makes me happy every day! I LOVE polka dots. So cute! I am happy today because Pat is in town. Yay! Thanks for the giveaway. Fingers crossed! Tough question to answer on this gloomy Tuesday morning!! Hmmm....bread with peanut butter and coffee. I LOVE that bag!! Polka dots and me are two peas in a pod. 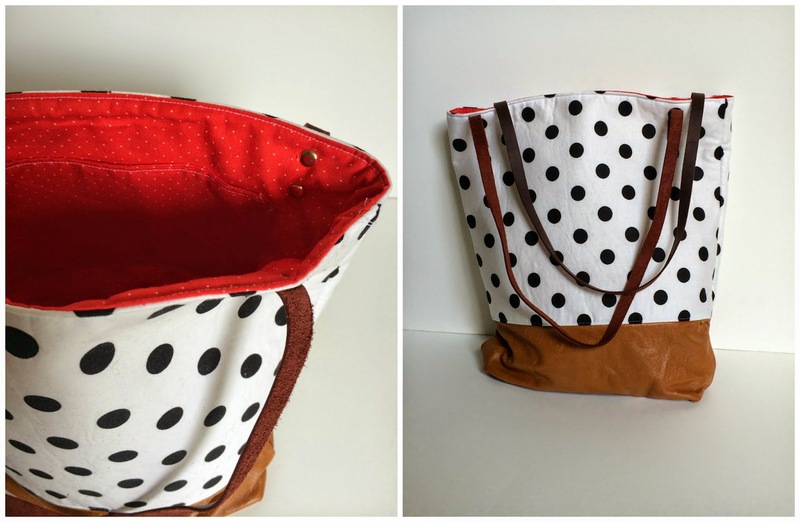 Love the polka dots and bright lining! Planning a fun Labor Day weekend in Chicago with friends is making me happy today!